A native Hongkonger, Francis is deeply familiar with the city's landscape and culture, Francis is a trustworthy and dependable partner to clients looking for a place to call home. Francis is a process and results-driven professional with a sharp eye for detail. His interest in pairing these skills with his passion for working and helping people made for a seamless transition. 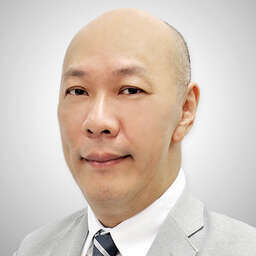 With his patient, honest and cheerful demeanour, Francis listens and delivers on his client's wishes while maintaining the highest ethical principles for all transacting parties. Finding more support at Proway, Francis believes he can better serve clients with the efficient tools on hand which are readily accessible anywhere, anytime, and allow his to stay informed the latest properties available on the market. Francis graduated with a degree in Statistics from the Queen Mary University of London. Francis is fluent in English, Cantonese and Putonghua. In his free time, he loves travelling with his family.